"All wines come from someplace, but the best wines can only come from an extraordinary place. Oregon is a world-class wine region with more than 700 wineries and more than 1,000 vineyards growing 72 grape varieties. 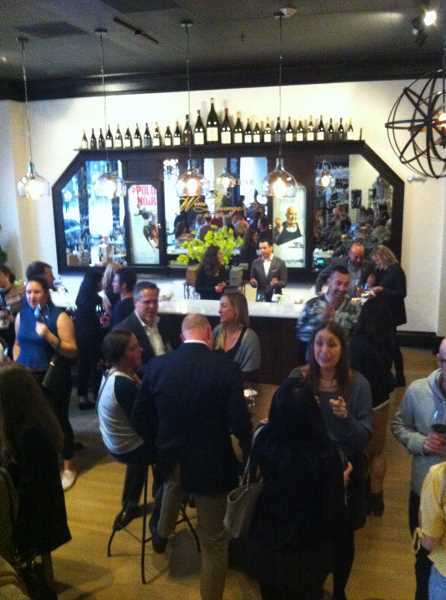 Come visit to see and taste for yourself what the wine writers and restaurateurs are rhapsodizing about. Oregon's vintners are waiting." That invitation is posted on the Oregon Wine Board's website, oregonwine.org. If you need another nudge, let me rhapsodize about wines I was introduced to recently that you really should experience. I was with a group of wine writers for an introduction to Open Claim Vineyards, which is releasing its first commercial wines this spring. Owners Marnie and Brett Wall have turned their passion for fine food, wine and travel to winemaking. The couple met in Atlanta, but have also lived in Singapore and France, where they immersed themselves in the culinary scene of the regions. "It was in fact over a late, leisurely dinner in our Paris apartment that we decided to plant a vineyard. We said 'Let's do it now!'" Marnie says. Her mother had moved to Oregon and in 1994 purchased land that would eventually become Open Claim Vineyards. The property, known as Parcel #68, was offered by Polk County in 1850 as an open claim to anyone willing to nurture the land to life and meaning. "In that spirit and with a pioneer's zeal, we joyfully take up the task, thankful for a place uniquely endowed with soil, sun and slope for a single purpose: The nurturing of grapes and wine," write the Walls on their website, openclaimvineyards.com. The Walls founded Open Claim Vineyards to grow benchmark Pinot Noir and Chardonnay on the Willamette Valley property their family now has tended for more than 20 years. Situated near Mount Pisgah in the last foothills of the Coast Range, Open Claim is a premier 55-acre site planted in 2012 on 21 acres. "We knew we needed a strong team," Marnie says. "And we wanted to use a light touch on the land." The Walls hired Result Partners to manage the vineyard and Tony Rynders to make the wine. Rynders' talent as a winemaker is legendary. He honed his craft in Napa, Northern Italy, Australia and Tuscany before migrating to the vibrant Northwest Pinot Noir scene. After assistant and head winemaker roles at Argyle and Hogue Cellars, he took the reins at Domaine Serene. There, he became one of the most highly acclaimed winemakers in America, with more 90+ Wine Spectator scores than any contemporary. 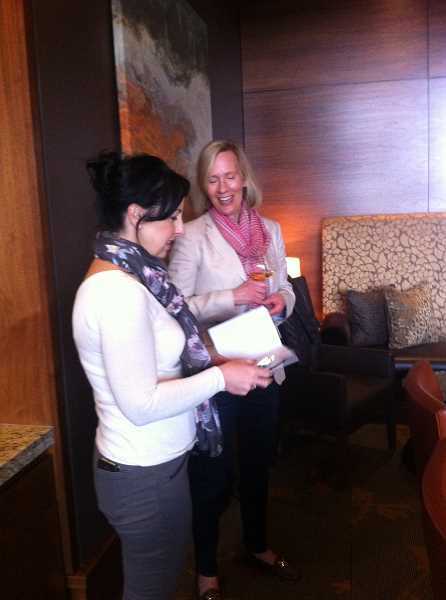 "Few are as integral to the international status Willamette Valley Pinot Noir and Chardonnay now enjoy," Marnie says. "In 2008, he started consulting on projects close to his heart. We're proud to be one of them. We're truly lucky to have him." Open Claim Vineyards produced small amounts of Chardonnay and Pinot Noir in 2014; it will release the 2015 Chardonnay this spring and 2015 Pinot Noir this fall. The wine writers who gathered for the recent introduction all agreed that the results so far have been delightful. "Tony is our artist," Marnie says. "We let him do what he does, and we love it." Rynders says that like all evolving agriculture businesses, you have to keep your finger on the pulse of the growing season. "You have to pay attention start to finish," he says "It's not that difficult to make good wine ... it's difficult to do it consistently, vintage after vintage.You have to make the right choices." The vineyard name is explained thus: Open, as in limitless; Claim, as in a ringing statement of purpose; and Vineyards — a life written in soil and dreams. The Walls are building a tasting room and will offer tastings by appointment this spring. Visit openclaimvineyards.com to learn more. Another fun "newcomer" is Domaine Serene's wine lounge at the Sentinel Hotel in downtown Portland. The award-winning producer of Pinot Noir and Chardonnay has partnered with Provenance Hotels to open a new and unique wine lounge in the hotel on Friday, April 13. It will feature Domaine Serene wines alongside selections of Chateau de la Cree and Maison Evenstad wines from their Burgundian winery located in the Santenay region of the Cote de Beaune. "We feel compelled to create a truly unique, wine-centric experience for our members, guests of the Sentinel and new friends and travelers, right in downtown Portland," says Ryan Harris, president of Domaine Serene. "The Domaine Serene Wine Lounge at Sentinel will be a first-rate concept that will further elevate the Portland wine and food scene as one of the finest in the world. We are elated to bring access to our rare and collective single-vineyard and prestige wines to avid wine connoisseurs and our Portland-based members, who can't always make time to visit the clubhouse at Domaine Serene." The Wine Lounge is the perfect setting for wine novices and aficionados to relax with a glass of world-class Pinot Noir, Chardonnay or the upcoming release of Dundee Hills Brut Sparkling Wine, set for fall 2018. The Wine Lounge will be open to the public Friday through Sunday beginning April 13 and Thursday evenings will be added in May. During the remainder of the week, the lounge will be available for private events. The Wine Lounge is located at 1038 S.W. Alder in Portland, in the Sentinel Hotel. Learn more online at domaineserene.com.